I’ve submitted my images for the 1st round of Hand&Lock Embroidery competition. Seems like my Fashioning the Future Awards application didn’t go through the 1st round so wish me luck for this one! The concept is a marine themed burlesque costume. 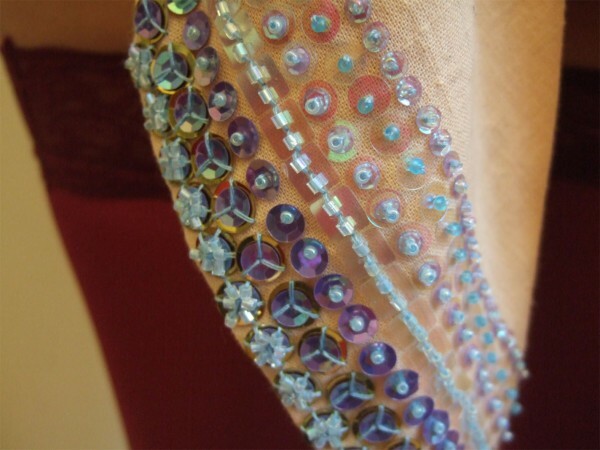 I’ve used sequins and beads properly for the first time. Starfish on the bra and a shell on the knickers. 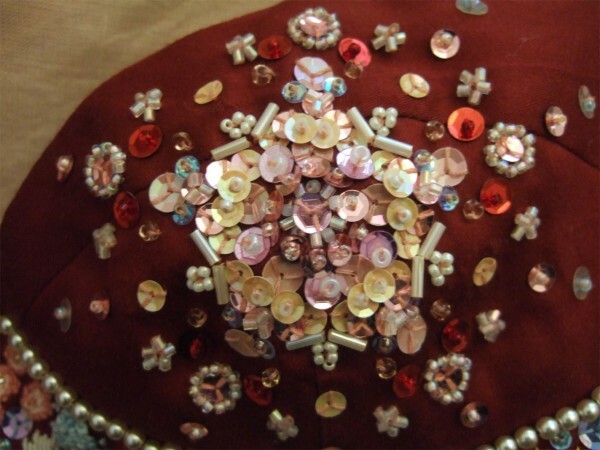 Of course, there are some thread embroidery and ribbon embroidery as well. The bottom section is my favourite and was the most time consuming part. 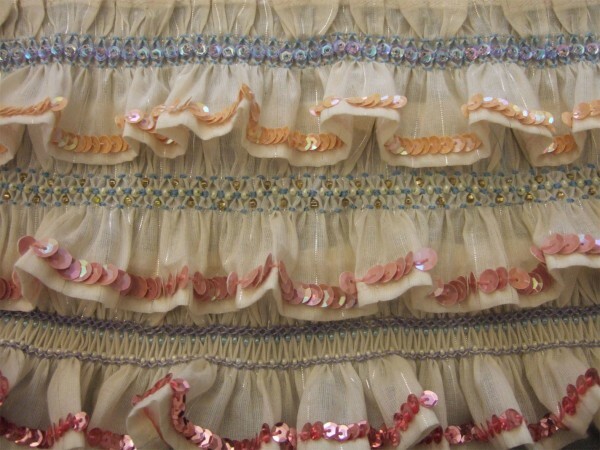 I’ve done three rows of different smocking and also embroidered sequins and beads inside the pleats. 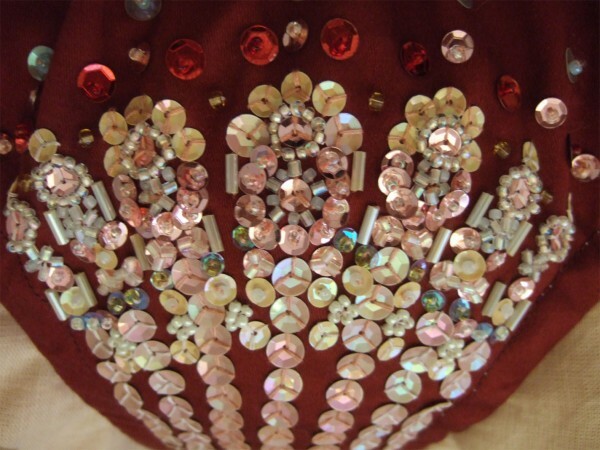 I’ve used a tambour hook(used for couture embroidery) for the first time to do the sequined edges. 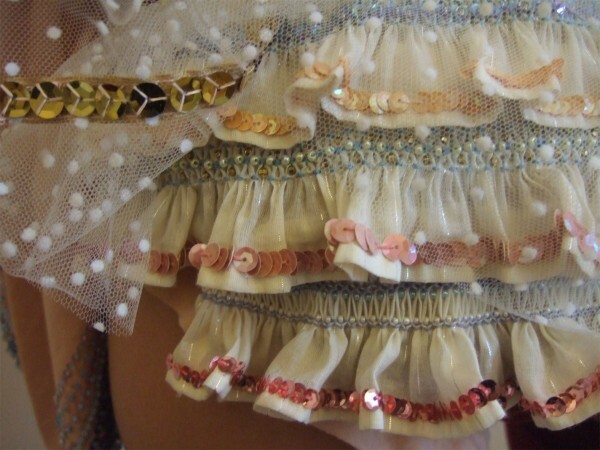 The hem of the ribbons of the bra is also embellished representing the sea.